Marriage and Family Therapy (MFT) is a style of psychotherapy that deals with the interactions between family members and the way these behaviors affect not only the individual, but also focuses on interactions that result in patterns of behavior in a relationship or within a family. MFT’s can work with individuals, couples, or families. If working with couples or families, the structure and content of sessions can be divided between time spent on individual therapy as well as time spent on couple therapy, family therapy, or both, if necessary. Marriage and Family Therapists are trained in both psychotherapy and family systems, which allows them to focus on understanding client symptoms in the context of the relational interactions that influence behavior. How do I know if Marriage and Family Therapy will help my situation? 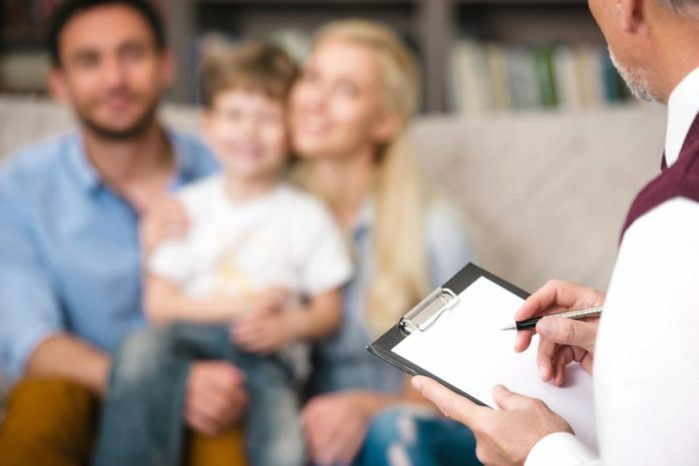 Marriage and family therapists can treat a wide range of clinical problems in children and adults including: depression, mood disorders, marital problems, anxiety, individual psychological problems, and can also assist with parenting difficulties. MFT’s utilize a holistic perspective to mental health therapy and are focused on the overall, long-term well-being of individuals and their families. Marriage and Family Therapy services provided through ATS could be the missing piece of support, guidance and direction you have been seeking to help you navigate the complexities of managing stressors that come along with military life and/or parenting a child with special needs.